Not just your average bookstore, this shop is the go-to place for books, music, toys, gifts and more! Imagine the great things you can buy with a discounted Barnes & Noble gift card! Same great stuff, for less money! What’s not to love? With over 640 locations in 50 states across North America, you’re sure to have one located close to you! Purchase a discounted Barnes & Noble gift card and start saving money immediately! And don’t forget- gift cards make excellent presents too! A Fortune 500 company, as well as, the largest retail bookstore in the United States, they have departments in books, textbooks, Nook, Nook books, newsstand, teens, kids, toys & games, hobbies & collectibles, home & gifts, movies & T.V., music and more! And just think, not only will a Barnes & Noble gift card save you money, but because gift cards are a form of currency, all other discounts and coupons will still apply- which means, even more, savings! For even more money saving options, be sure to check out their sale and clearance items, join their membership for free shipping and other deals, and sign up for their email newsletters to receive coupons and special offers. 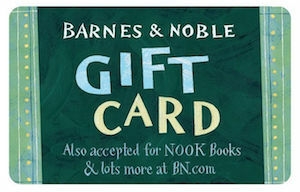 Whether you buy a discounted Barnes & Noble gift card or Ecard, saving money is just a click away! A discounted Barnes & Noble gift card from Cards2Cash will save you money! But we don’t stop there! Cards2Cash offers lots of great discounted gift cards for many national retail stores and websites. Make sure you check out our listings for Books-A-Million, Half Price Books, B. Dalton Bookseller, and more! With Cards2Cash, you can find cards for all your purchases and save more money than ever before! Do you have a gift card you aren’t going to use? Cards2Cash will buy your unwanted card for a high price! We buy gift cards for restaurants, Clothes shops, hardware stores, and more! Visit one of our retail locations for fast, on the spot payment OR fill out our online form and we’ll make you an offer you won’t refuse. Whether you buy a gift card from Cards2Cash or sell us one, we’re your one-stop, gift card shop!